We caught the DMU at Bewdley at 11.44 to go to Arley. As we waited to depart, 4566 arrived from Arley with 46443 at the rear of the train, problems with steam heating. After lunch at Arley we waited the arrival of 7812 on the diner before returning on the DMU. Back at Bewdley, 46443 was working the next train to Highley. 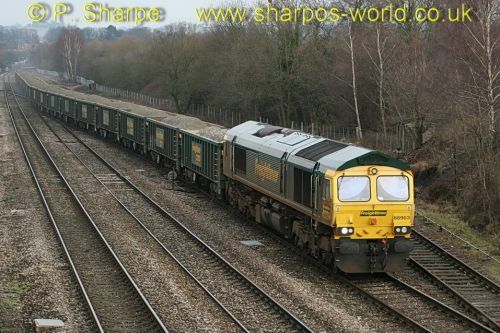 This entry was posted in Severn Valley Railway on January 31, 2010 by Sharpo. Bewdley to Highley & return for us today. 11.44 DMU going, 4566 back after lunch. Good to see the DMU out again, plenty of people travelling – no doubt the sunny weather encouraged them out. 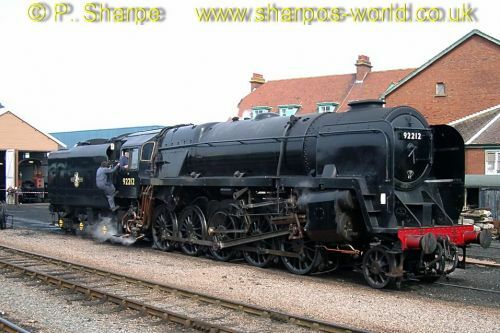 This entry was posted in Severn Valley Railway on January 30, 2010 by Sharpo. Some more old photos. Makes a change from the usual SVR ones, although seeing 1501 down there made me feel at home. We don’t do the long days out now we have the dog, so it makes a change for me – seeing some different locos, even though they are just photos. Good to see 92212 there, also 61264, as they are classes of loco I rarely see. This entry was posted in Sharpo's World Photo Updates on January 28, 2010 by Sharpo. The 2002 Spring Gala photos were uploaded a long time ago, but there were other photos taken around that time. I have since looked through the missing ones and uploaded the better ones. The photos will appear in a “general photos” album and also by individual date. 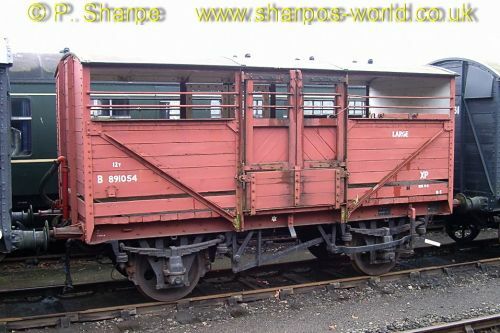 As a change from locos, here’s the cattle wagon…. This entry was posted in Sharpo's World Photo Updates on January 27, 2010 by Sharpo. Continuing with old photos, a drive out to Bourton on the Water and the opportunity to photograph something different for a change. It’ s really nice with the stream running through the village. Very colourful with blossom & sunshine….. Working through my old photos, these were some of the first I took with a 1.6 megapixel camera. Quality not what we are used to, but for me it is a memory of a day out. Lamport No. 3, 03170, 31130 & D9525 are seen working. The plan had been to see a Class 31 on a Test Train working to the south west, but that ran extremely late (several hours) and I didn’t see it. The Margam to Corby was already in the loop, with banker ready, but the Croft to Brierley Hill did make it less of a wasted journey. This entry was posted in Sharpo's World Photo Updates on January 26, 2010 by Sharpo. We (that’s us 2 +dog) travelled from Bewdley to Arley on the 11.44 hauled by 7812. 43106 had worked the first train from Kidderminster, crossing with our train at Bewdley. The plan was to return behind 7812 when it returned from Highley. I was all prepared for a photo of the diner approaching the station before boarding the train, with camera at the ready I was surprised when the signal for 7812 was pulled off, so quickly climbed aboard the train. Apparently the diner was delayed and the plan was for our train to cross it at Bewdley. On arrival at Bewdley, 46443 was on the diner & waiting to depart. We had another cuppa & waited to see the next train from Kidder, hauled by 43106. Also noticed the DMU was missing from platform 3, it had run down to Kidder – probably on a test run, as it should be working on one of the services next Saturday. 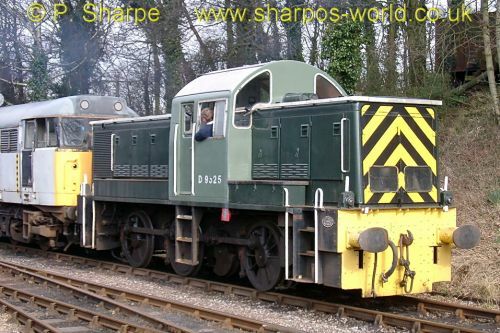 This entry was posted in Severn Valley Railway on January 25, 2010 by Sharpo. I never look forward to updating software, but just tried the automatic update – and it works!!! This entry was posted in Computers on January 23, 2010 by Sharpo. Knowing that the kiosk at Arley would be open, we walked KC to Bewdley for a ride to Arley. 43106 was on our train, 7812 on the other. It’s not the time of year for hanging around on stations, so we headed back to Bewdley when 43106 returned from Highley. 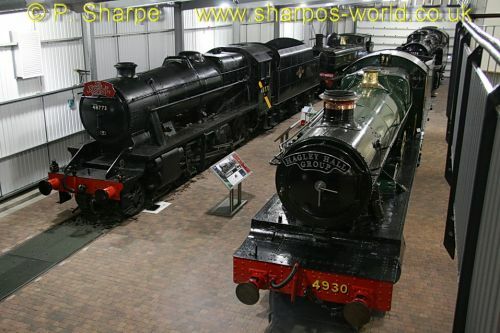 This entry was posted in Severn Valley Railway on January 23, 2010 by Sharpo. KC says – more photos of me!!!! My Dad has just uploaded some more photos of me. He didn’t add many in 2009, so is making up for lost time now. Here’s how I spend my evenings….. This entry was posted in KC's photo gallery on January 19, 2010 by Sharpo. Bewdley to Highley behind 46443, then lunch at The Engine House, returning behind 43106. A few shots inside The Engine House show 1000 & 48773, with 4930 also seen. 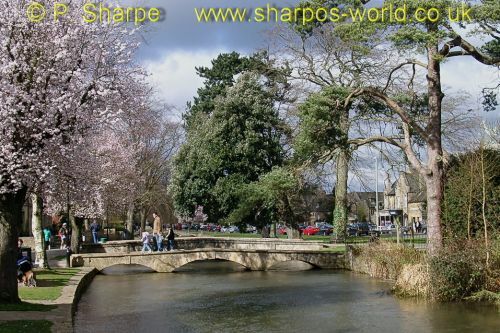 This entry was posted in Sharpo's World Photo Updates on January 16, 2010 by Sharpo.